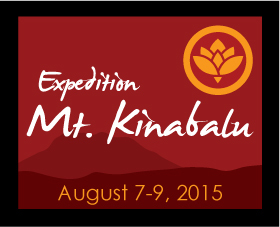 Welcome to Expedition Mt Kinabalu! On September 9th, I will be part of a team of 30 international climbers who will scale Mt Kinabalu, summit of Borneo, to raise global awareness and funding for Duchenne muscular dystrophy. This is a personal quest. I will be climbing for my 18-yr-old son Dusty who has Duchenne, and for all the thousands of boys who are faced with the challenges of this disease everyday. Please sponsor me by clicking on the link below, and help change the future of all the boys with Duchenne. Beautifully written Cath (as always!) I do pray that you get lots of good sponsorship, lets see what I have left over from my holiday allowance when you get to KK and I can then make a small donation!